Editor’s Note: Today’s guest post is a is a modified excerpt from Jessica Diller Kovler’s upcoming book, The Boys of the Bronx, to be published in 2015. Kovler is part of the History of Science program at Harvard University and currently teaches at John Jay College of Criminal Justice, the City University of New York. Her work has appeared in The New York Times, Forbes, and Discover magazines. In my city—which, as you may have heard, doesn’t sleep—some nonetheless lethargic neighborhoods have had an awakening of sorts. Many New Yorkers are forgoing the bustling city centers for the far-flung shores of Manhattan as well as some of the city’s 41 adjacent islands, neighborhoods previously considered “The Devil’s Stepping Stones.” (Legend has it that indigenous New Yorkers chased the Devil across the waters of New York, and every time the Devil stepped down on the water, an island was born.) These areas were so removed from the grid that they were used to house the city’s derelict, destitute, profligate, and banished—drug addicts, criminals and those deemed too mentally or physically ill, or even too dangerous to live in “mainland” New York City. Take Roosevelt Island, where Nellie Bly penned her work on the infamous Woman’s Lunatic Asylum; that island is now home to luxury rentals, with Cornell University planning an extension campus for 2017. Randall’s Island and Wards Island, home to cemeteries, asylums, and contagion hospitals, are now home to Little League games and the Electric Zoo festival. Amidst this transformation, one island has been forgotten, though thousands of New Yorkers have (reluctantly) called it home. The last inhabitants of North Brother Island comprise a lost chapter in the story of urban institutionalization, a faded memory of a city grappling with a perceived epidemic of both juvenile delinquency and adolescent narcotics addiction. Now abandoned, its buildings fading behind overgrowth, the island nonetheless reveals why New York institutionalized drug-addicted teenagers, even as a nationwide movement towards deinstitutionalization was beginning to gain momentum. Then, for roughly a decade beginning in 1952, Riverside Hospital was home to a government-funded social experiment to cure young heroin addicts of narcotics addiction and juvenile delinquency. While treatment had existed for young addicts in New York since 1910, Riverside was the first hospital in the country devoted solely to the treatment of adolescents. This failed experiment is a crucial and often ignored moment in the addiction history narrative that raises important ethical and policy concerns that remain relevant 60 years later. Many believed that these juvenile delinquents were also junkies. Whether the connection between juvenile delinquency and heroin was real—and whether rates of heroin addiction actually increased—is a contentious topic. Still, it is clear that the media perpetuated the notion of the junkie JD, which metastasized in the minds of middle-class Americans. When the perceived crisis peaked in 1951, medical, political, and legal officials hosted symposia to discuss solutions. At a series of meetings at the New York Academy of Medicine, all agreed that something needed to be done, but a lack of knowledge, and—in the words of one subcommittee chairman—“contradictory conclusions” complicated attempts at a solution. What was needed, they thought, was an isolated facility to allow for control as well as the use of a new social and medical corrective philosophy. Following withdrawal, a patient’s schedule would include therapy, vocational classes, work, and school on the island at PS 619 (one of the 600-series schools created by New York City in the 1950s for juvenile delinquents). Press releases touted first-class facilities for home economics and shop crafts, as well as access to sports, movies and TV. Patients also had little professional support in place after they left Riverside. The Columbia School of Pubic Health began a somewhat empirical evaluation of 247 patients who had first been admitted in 1955 and later released. Of these interviews, only 14 percent were conducted outside of a hospital or jail. Eleven patients were dead, a high number for this age group, most due to overdose. A quarter of patients had done jail time or forced hospitalization. Almost all reported using drugs after Riverside. Only eight claimed to be sober—but these eight said that they had never been addicted, only arrested for possession, and they had asked to go to Riverside thinking it would be easier than jail. The City was pouring resources into an institution with a patient success rate of zero. In late 1959, the City made public its decision to close Riverside Hospital. The ferry port on North Brother Island would close, and all hospital operations would cease, by June 1961. According to a former staffer, some thought the closure would be temporary. Many items from the school and the hospital were not packed away. Recent pictures from the island reveal a doctor’s coat on a hanger and a 1961 phonebook left open on a desk. Today, Riverside Hospital’s buildings are crumbling and overgrown. A former teacher who recently visited the island with a special permit describes North Brother as a “jungle island” full of weeds and relics of a past the city has chosen to forget. Even the records of patients are lost, perhaps, as some believe, simply tossed in the trash. Perhaps this is a fitting fate for the experiments at Riverside Hospital—people were sent there as refuse to be forgotten, and forgotten they were, as was the island itself. And the end of Riverside Hospital coincided with the deinstitutionalization movement, an end to the practice of treating the ill urban poor by hiding them out of sight to be unremembered. City officials came to realize the approach was expensive and cured nobody, and like the island, the practice was abandoned. Jessica, a fascinating post! 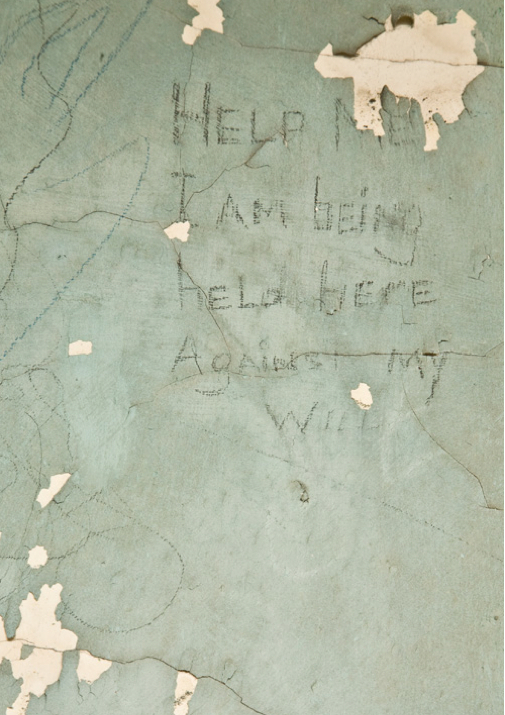 The drug treatment effort North Brother Island is too little remembered today. One reason, of course, is that the program came right before the formative years of the modern drug treatment regime; not surprisingly, most of the pioneers of that modern regime defined their activities in opposition to the understood failures of Lexington and programs that existed in the shadow of Lexington, like the one that occupied North Brother Island. And, indeed, Lexington and Riverside Hospital were pretty substantial failures, even by their own standards of assessment. But the quick ride into obscurity, especially for Riverside Hospital, meant that historians tended to miss it entirely. As a publicly-funded program in Courtwright’s “classic era” of narcotics control, Riverside seems to have been understood as merely a footnote to a fairly static and uninteresting period. So thanks for bringing more attention to it! Dr. Leon’s comment about “robbers” and “rapers” is interesting. As I’ve noted elsewhere, as poorly as Riverside Hospital functioned, it wasn’t deemed good enough for certain classes of drug-using or drug-addicted youth. Those convicted of serious offenses were more often than not deemed ineligible for North Brother Island and instead confined in city correctional facilities, or sent upriver into the state reformatory system.